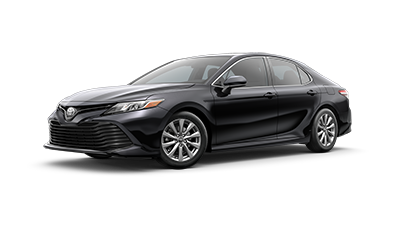 Looking to compare 2018 Toyota Camry trims? Scroll down for the comparison. The 2019 Toyota Camry is the midsize sedan that you'll love to add to your daily routine, but which model is the best fit for your everyday drive? 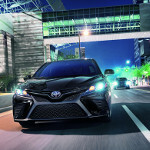 Experts at Toyota of Braintree are here to help you research the key factors that differ each Camry model in the trim lineup. Browse through our new inventory to discover available models at our dealership in Braintree, MA. If you have any questions for our team, feel free to give us a call at (781) 848-9300 or contact us online. What are the Differences Between the Camry L & LE? While both the 2019 Toyota Camry L and LE are two early trims in the lineup, each provides impressive features in its own right. The Camry L offers the basic necessities that elevate a daily drive, while the LE increases that with a more advanced interior cabin. The Camry L sports all the features you need on a daily drive , but if you're looking to add a couple extra features to provide peace of mind, then the Camry LE is the better fit for you. What are the Differences Between the Camry XLE & XLE V6? Besides the XLE V6 having a higher power 3.5L V6 beneath the hood, each 2019 Toyota Camry provides unique features that will enhance your daily drive in different ways. The XLE does a spectacular job escalating features from the LE. You'll find more comfortable features invested inside the XLE, but if you're looking for high tech luxury, then the XLE V6 is the perfect way to take your commute to the next level. What are the Differences Between the Camry SE, XSE, and XSE V6? The 2019 Toyota Camry SE, XSE, and XSE V6 trims all have their different pros when it comes to perfecting your daily drive. If you're looking for a reliable drive with an updated interior cabin, exterior design, and modern tech dashboard, then the SE will work well with your lifestyle. Providing you with some of the best specs in the Camry lineup, the XSE has everything you're looking for when it comes to a smooth and luxurious drive. If you're interested in situating behind the wheel of a high power midsize sedan with every feature you could ever want as well as the power you desire, take advantage of the XSE V6. No matter the Toyota Camry trim you pick, you won't be disappointed with your decision. The 2018 Toyota Camry is the perfect sedan to elevate your daily drive, but now you have to choose the trim that checks all your boxes. 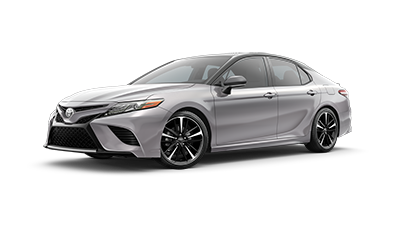 To help you with making a decision, the product specialists at Toyota of Braintree have put together this comparison of every 2018 Toyota Camry trim package available at our Toyota dealership in Braintree, MA. Read on to find out which new Camry trim level delivers exactly what you've been looking for. Continue the purchase process by browsing our new 2018 Camry inventory for color and trim package availability. Don't forget to check out our Toyota incentives and lease specials to see if you qualify for our latest finance and lease offers. The 2018 Toyota Camry comes in 10 versatile trim levels to fit any driver. 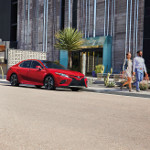 From the L and LE trim levels, which feature sensible features with modern design, to the XLE V6 and XSE V6 trim levels, which deliver upgraded performances and luxury finishes, you're guaranteed to find a trim package that has all of the amenities your lifestyle demands. 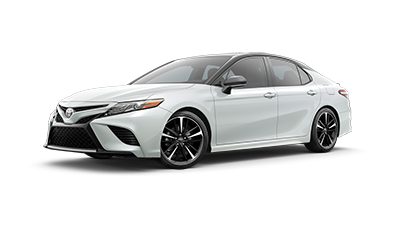 View the table below for starting MSRPs and feature availability for each Camry trim level. There are few sedans you'll find out there safer than the new 2018 Toyota Camry. With several industry-leading safety systems coming standard, such as the Star Safety System™, ToyotaCare, and Toyota Safety Sense™ P, you'll have peace of mind every time you get behind the wheel. Staying connected will also never be an issue. The new Toyota Camry offers plenty of advanced technology that allows you to customize your very own entertainment experience, such as Bluetooth® wireless and Entune™ infotainment technology. Explore additional safety and technology features below. Get behind the wheel of the all-new 2018 Toyota Camry and discover what your commute has been missing! Schedule a test drive at our Toyota dealership in Braintree, MA. If you have any questions, get in touch with the Toyota of Braintree team through our contact form or by calling (781) 848-9300.